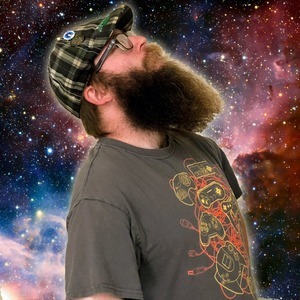 Josh Harrison has been known by many names - Midgetor, Grimm Gemchild, Frodo - but mostly he is Nerd Overload's resident tabletop master and elite level LARPer. Yes, his beard is mightier than yours, and yes, there are possibly pizza crumbs in it. Josh Harrison has hosted 182 Episodes. This week, we discuss MULTIPLE Joker-related news items, the upcoming Dragon Quest Movie, Mark Hamill as Chucky, old movie theater gimmicks, spoiler-free reviews of Jordan Peele's Us and The Twilight Zone, The Orville, Yoshi's Crafted World and... The Bee Movie. Yes, really. This week, we go higher, faster, and further with our (lightly) spoiler-filled review of Marvel Studios' Captain Marvel, as well as discuss the latest Nintendo Indies game announcements, the upcoming Konami classic game collections, Bill & Ted 3 officially a go, the Suicide Squad sequel is now a reboot, James Gunn is back helming Guardians of the Galaxy 3, Google's Stadia gaming service AND MORE! In this week's ALL NEW, ALL NEWS episode, we speculate on the newly-announced Hello Kitty movie, cower at Sonic the Hedgehog's bad live-action design, Brian K. Vaughn working on the live-action Gundam film, the truly terrifying trailer for Brightburn, Masahiro Sakurai's insane work ethic, Nintendo Labo VR AND MORE! Hey hey! This week, our hosts discuss Reggie Fils-Aimé departure from Nintendo of American and the rise of Doug Bowser, the newly-announced Pokemon Sword and Shield, and trailers for Detective Pikachu and Dark Phoenix, as well as reviews of Anthem, How to Train Your Dragon 3 AND MORE! After our one-week hiatus, we're back to talk about lightsaber dueling as a legal sport, the recent Nintendo Direct including highlights such as Super Mario Maker 2, Dragon Quest XI S, Fire Emblem, Astral Chain, Tetris 99 and the remake of Legend of Zelda: Link's Awakening, even Fallout 76 problems, reviews of Netflix's Umbrella Academy, DC Universe's Doom Patrol, The LEGO Movie 2 AND MORE! This week, the team runs into the endzone with discussion topics like how Fallout 76 continues to be bad, Dr. Mario on iOS, the Bubsy: Paws on Fire DLC Kickstarter, the end (and disappearance)of Machinima, as well as trailers and commercials from "The Big Game," including Avengers: Endgame, Captain Marvel, Fast & The Furious Presents... Hobbs & Shaw, Jordan Peele's Us and Twilight Zone AND MUCH MORE! Hey-ho listeners! This week we discuss the Detective Pikachu sequel that's already been greenlit, the Metroid Prime 4 delay, we reset the clock on bad Fallout 76 news, the Birds of Prey trailer, the upcoming Free Comic Book Day teaser for 2 new DC Comics lines aimed at younger audiences AND MORE! This week, the funtime gang discuss Fallout 76 potentially going Free-To-Play, the Power Ranger's fighting game (which may or may not be an updated iOS game), Space Jam 2's filming start date, the upcoming Netflix series Space Force and Unsolved Mysteries, Hbomberguy's Donkey Kong 64 marathon for charity, Black Panther's Oscar nod AND MORE! This week on the show, we talk about the new Ghostbusters film announcement and toxic fandom, the Spider-Man: Far From Home trailer, more Fallout 76 woes, Super Nintendo games data mined on the Nintendo Switch Online AND MORE! Also, and we can't stress this enough, Marie Kondo IS NOT COMING TO TAKE YOUR BOOKS AWAY. We're back at it again, and this week we discuss the new Carmen Sandiego and Care Bears cartoons, Margo Robbie starring in a live-action Barbie movie, a Toxic Avenger reboot in the works from Lionsgate, the needless Watchmen HBO series, the Fallout 76 rum fiasco, another round of possible Super Smash Bros Ultimate leaks AND MORE! 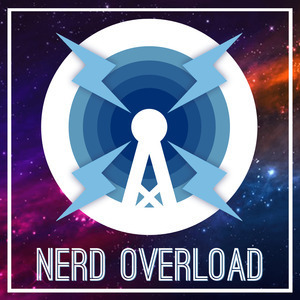 Grab your sword and buckle up your horse because the Nerd Overload Crew are back in 2019! This week, we discuss the Fallout 76 Y2K19 bug, the Pokémon CGI movie remake, Stranger Things' Season 3 teaser trailer, the PlayStation Classic price drop, Todd MacFarlane's new Spawn reboot AND MORE!